David Wilson hasn’t got a lot up top! Sorry, perhaps we should rephrase that. David has had his head shaved for charity. 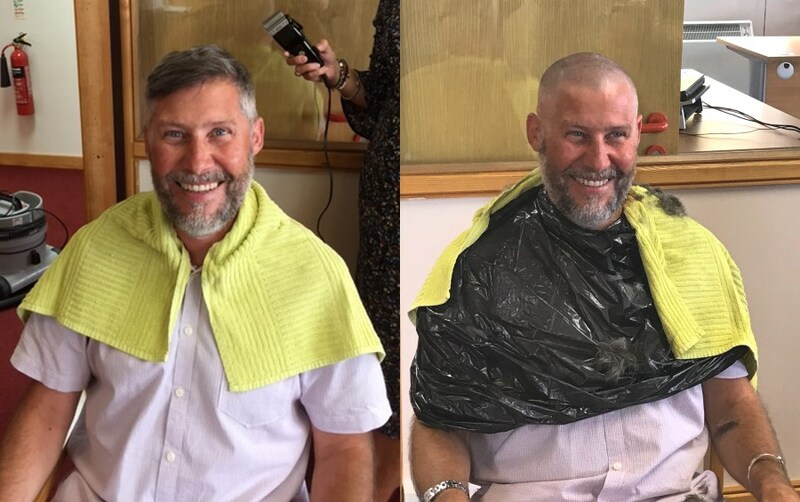 To help swell the coffers for our 2017 Birkett Long £50 challenge in support of St Helena Hospice, he agreed to undergo the ‘chop’. 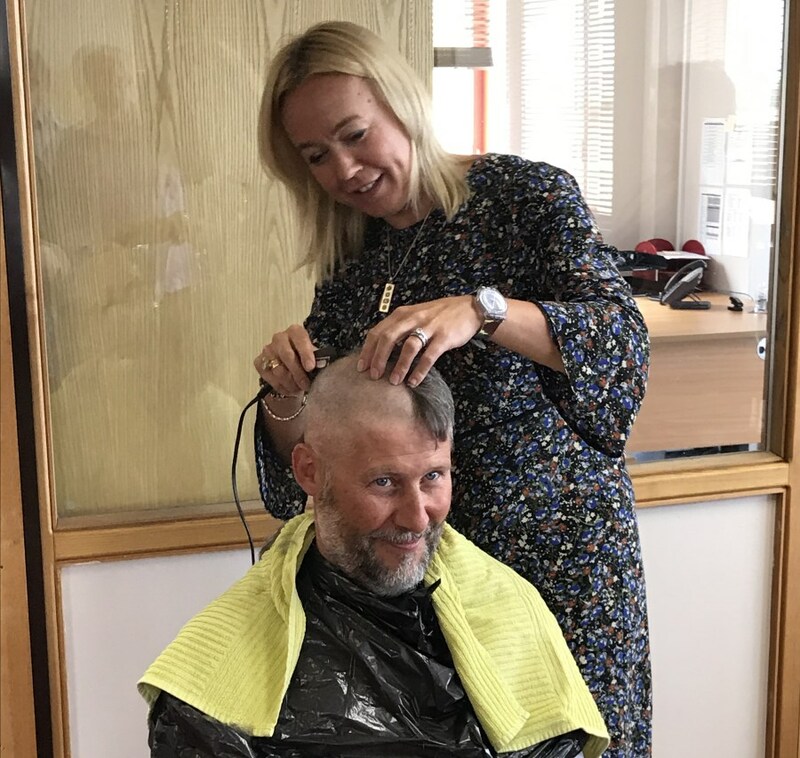 Chloé Winter from St Helena Hospice came along to Codair Design and Publicity’s offices in Fordham to perform the deed and with whirring clippers it took just 6 minutes to remove his locks. Judging by the look on his face he seemed to enjoy it but he did say he might have to hide in his shed for a week or two. We thought this a bit strange until he explained to us that he had not told his wife or children he would look a little different when he arrived home in the evening. When his two girls, aged 6 and 10, saw him they were shocked. One could not look at him and the other ran upstairs to her bedroom. Thankfully, there were no reports of nightmares and they are both their usual happy selves this morning. His wife just gasped with surprise but she too, is now getting over it. David did explain that it was a bit of a close shave though. Spot the difference? Well, the smile’s still there. David, it seems, enjoys having his hair removed. Last year he had his chest waxed for our 2016 £50 challenge. Whatever it is in his psyche that compels him to do these things, we all applaud him for his willingness to help raise funds for this worthy cause. So far his haircut has raised £300 for St Helena Hospice. A big thank you to CSH Environmental Limited for their donation of £100. If you would like to boost this total please email Mandy at MCant@codair.co.uk or call her on 01206 243154.